Gouki.com Points and Achievement list. Get Points Win Prizes!! Welcome to Gouki.com. Write about video games the way you want. News, Blogs, Reviews or whatever you want to call it. Earn points and unlock achievements to move up the leaderboard. Win prizes and be entered into contests. So here is how it works Jimmy. You get points for voting on stories and leaving comments, but the most points can be earned from actually writing on Gouki.com. It can be a News, a blog, review, preview or pretty much just about anything video game related. [Very Important Read Our FAQ] Keep it personalized for the most success. The better your story, the more "like" votes, comments and views you get, the more Gouki.com points you will earn. Below is a list of all the points and achievements you can unlock on Gouki.com. Starting with the Daily Double. The best way to get double points visiting every day. Leave a comment = 5k per story that you comment on. Vote on a story = 10k per vote. Write a story = 40k per story. Daily Double = 110k total. Story Points - For each story you write you get 40k, plus these bonuses depending on how popular your story is. Liked - You receive 15k points for every “like” vote for your story. Popular - The more popular your story becomes the more points you get. *Hint use the share buttons to get your friends to read, vote and comment on your story. Win an amazing Gouki Akuma statue, Super Street Fighter IV game, microsoft points or PSN dollar$ and a Gouki.com t-shirt! The Drawing is closed and these two Jimmys have won! Congratulations you Jimmys see you online! Halo Reach Legendary Edition giveaway - Get it Sept 14th!! Once again we are giving away one of the biggest games of the year Halo Reach. Not the regular edition, not the limited edition, BUT THE FRICKIN LEGENDARY EDITION. Get it Sept. 14th! Congratulations to the Jimmy akskiller for winning our Halo Reach contest. Read akskiller's winning story. So we figure what do you want more than anything else, when we do these giveaways and we think it's all about the games. That's why we're going to giveaway 5 copies of Ultimate Marvel VS Capcom 3 to anyone that gives us a shout out on any of our media outlets. Here are the different ways you can enter. The easiest way to enter is to leave a comment on this story. A funny or interesting comment will have the best chance. Like Gouki.com on Facebook and Post/Write something on the wall in regards to this Ultimate Marvel VS Capcom 3 giveaway on Gouki.com. Subscribe & Post a comment to the Gouki.com Official YouTube Channel in regards to this Ultimate Marvel VS Capcom 3 Giveaway on Gouki.com. Write a story on Gouki.com. The best way to help support us is to write a story about your favorite video game. Your story can be about any video game topic you wish. To qualify write a Blog, Review, Preview and/or News. Fiction & Non-fiction highly encouraged. Deadline to enter is Novermber 14, 2011. 8AM PST. This is a giveaway and Gouki.com reserves all rights. Rules & prizes subject to change at anytime. Anybody abusing anything on Gouki.com will be banned immediately. We run a fair and legitimate operation here. Don't be a Jimmy. Thanks for playing. We’re serious about our giveaways and always try to do them bigger and better. Check out our previous contests and giveaways. It's been 12 years since Gouki.com first stumbled drunkingly onto the internet. Check out our stats from the last year to the most recent 30 days. And thank you for visiting Gouki.com. First off, Gouki.com would like to thank all of the users that have been visiting the site for the past 12 years. 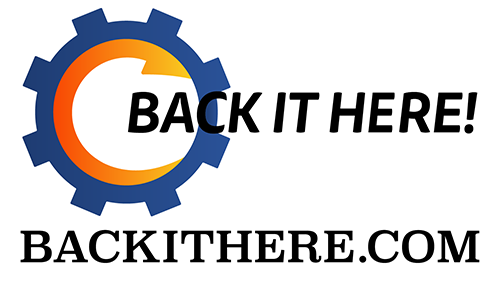 We would also like to welcome and thank all of the new users that have joined us since our massive relaunch in 2009. Yes, that even includes Kof2012. Since Gouki.com was a birthday gift to me so many years ago from my excellent friend and co-founder of the new Gouki.com, BatRastered, The 27th of January will always be the anniversary. Over the years the site has been many things. At one point I wrote and uploaded all of the code myself, I didn't have a clue what I was doing. The site showed it too. lol. I tried to cover, movies, tv, video games, comics, local Las Vegas hot spots. None of that worked, I could never keep every section looking mint. At that time, I also had the wise idea to advertise on television. Boy did I have internet marketing all bass ackwards. A few years later, I moved away from Las Vegas in search of my lost soul and the site drifted into oblivion. Not the game, the void of the internet. Then Xbox Live and Halo 2 came out and changed my world forever, yeah one of those moments. Online FPS with friends from all around the world? Sounds awesome right. The term Jimmy also came from this. Based on one of my best friends Jimmy Roman, you all know him as the incredible FnJimmy. When I played Halo 2, I was killing people that sucked or was being partied up with nuabs, I just started calling everybody Jimmy. It didn't matter, I might as well been playing with Jimmy at that point. Just nameless random pick-up Jimmys. Then everybody I was playing with started to call me Jimmy and everybody else Jimmy. It quickly became a worldwide phenomenon. I know you saw that Scottish Jimmy running around in the oil commercials screaming "Think with your dipstick Jimmy!" Yeah, they had to ask for the rights to call those Jimmys a Jimmy. Ok enough nonsense. Here's a look at our growth over the last month. 30,000 Visits. Thank you very much! That's up over 55% since December. 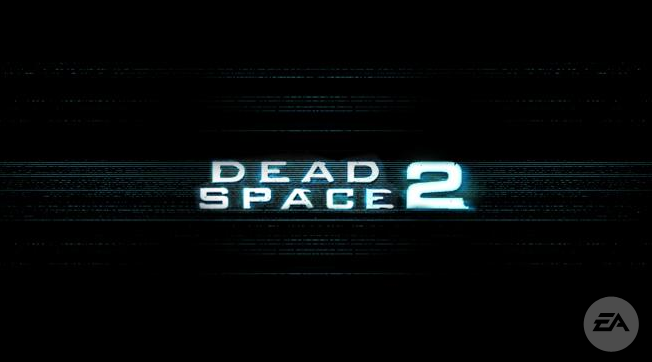 Dead Space 2 has been released. Is it worth your money? Find out in the Gouki.com Review. Dead Space 2 developed by Visceral Games and published by EA is a survival horror with a lot going for it. The original Dead Space was a great game, with monsters, creepy corridors, dark rooms, and a true sense of fear. Well Dead Space 2 is all of that and more. How does this 2 disc sequel stack up to its predecessor? Find out in our review below. With an option to watch previously on Dead Space and find out what happened in the first game, the story in Dead Space 2 starts off slightly confusing. I’m sure that was the point as it’s been 3 years since the first game, and Isaac Clarke is now in a mental hospital strapped down in a strait jacket. Isaac is suffering from hallucinations from some illness and it’s making him see some crazy things, including images of his dead girlfriend Nicole. The last thing he can remember is what happened on the USG Ishimura. Isaac then escapes this hospital once Necromorphs break in. So it’s up to Isaac to survive the outbreak, find out what happened to him, and why these monsters have returned. It's been 11 years and Marvel vs Capcom 3 is finally here... too bad it's terrible. After all these years this is what Capcom has to offer? An unpolished game, broken game play, and and uninspired storyline. MvC3 is a complete disappointment. Find out why! Now that I’ve got your attention, I just wanted to say that everyone on the Gouki.com crew loves Marvel vs Capcom 3. Marvel vs Capcom 3: Fate of Two Worlds is finally upon us. After 11 years of waiting since the release of the well-known and still played Marvel vs Capcom 2, Capcom and Marvel Comics unite once again. The 3 on 3 brawler is back and better than ever with 36+ characters, 100+ hyper combos, and dream match-ups galore. After spending well over 12 hours of straight Marvel vs Capcom 3 action the Gouki.com crew is still itching for more. Capcom and Marvel favorites such as Ryu, Chun Li, Captain America and Spider-Man return as well as adding some new faces to the games franchise like Dante, Arthur, M.O.D.O.K and Deadpool. Marvel vs Capcom 3 is something to be remembered. 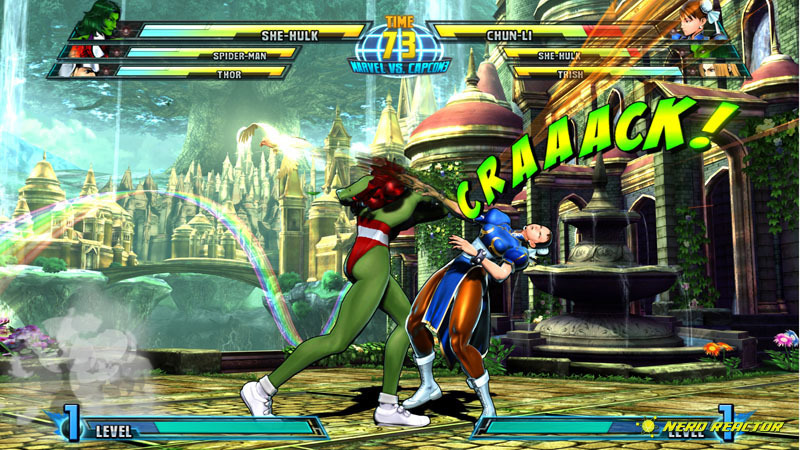 Marvel vs Capcom 3 has an impressive storyline this time around. A great threat is upon the two worlds of Marvel and Capcom. Dr. Doom has gathered all the most evil villains of the Marvel universe, such as Super Skrull, Magneto, and Dormammu and joined forces with Albert Wesker in a plot to join their worlds in order to conquer them. That is until Galactus from the Fantastic 4 is awakened and threatens the entire earth. It is up to all of the heroes and villains to stop Galactus before he destroys both worlds and rules the galaxy. Here is a video of a full Arcade run through, but check out Galalctus at 12:36! The gameplay of MvC3 is unlike the other vs series where the button configurations are of 4 buttons instead of your classic 6 button set up. What has returned from MvC2 is the 3 vs 3 2D action. Choose up to 3 characters from Marvel, Capcom, or a mix between and battle it out against a team of 3. Character assists return as well as hyper combos. What is new in MvC3 is the X-Factor, which is what you would call your desperation or clutch card. Activating X-Factor not only heals your fighter during battle, but also makes them stronger and gives them better defense. X-Factor lasts longer and is more effective when only 1 fighter of a team remains, but using it earlier has its advantages as well. Also new to the series is tagging out fighters within combos. Launch your opponent into the air to continue a combo and you can tag out to your next fighter making the combo even greater. Capcom has made MvC3 more accessible than ever with the new Simple Mode. Simple Mode allows those new to the vs series to be able to jump in with a simplified control scheme and still pull off insane combos, making Marvel vs Capcom 3 fun and accessible for beginners, advanced or any skill level. MvC3 has a good amount of modes this time around, and will suit everyone. There is your classic Arcade mode where you pick a team of 3 and fight through 6 stages before reaching the final boss fight. Arcade mode is your story mode for MvC3. Then you have Versus mode, which if you have friends over this will take up most of your time. 2 players each choose a team of 3 and battle it out for bragging rights among friends or each other. The Gouki.com crew played this mode the most and we still can’t get enough. New to the Marvel vs Capcom series is Mission mode. Mission mode is a list of moves and combos that must be completed for each character. There are 10 missions per character and they each get increasingly more difficult. Training mode has returned from MvC2, but is better than ever. Training mode is one of the best features in the game, because it allows you to not only mess around, but learn combos, tricks, and more. MvC3 runs on the MT Framework in full 3D and is the most impressive vs game to date. It simply looks amazing. The colors, the lighting, the character models, even the stages are impressive. Capcom has really outdone themselves with MvC3. The game just looks too good. Each character is done is full 3D, with defining characteristics that truly sets them apart from anyone else in the cast. From The Hulk’s veins, to Wesker’s Jacket, every character has something that brings out their personalities; sprites are a thing of the past. The stages are wonderful with how each has things that make them stand out from the rest. Capcom and Marvel fans will notice little cameos and easter eggs in the backgrounds of the stages. MvC3 looks stunning. The audio in MvC3 is wonderful. The voice work for each character is done exactly how you would expect them. When you hear Captain America say “Avengers Assemble” it will put a smile on your face. The characters each have close to 60+ sounds and quotes that completely define them. Deadpool breaks the fourth wall with some of his quotes, and Ryu says things that you would expect from him. MvC3 also has quotes just based on character match-ups or team choices; it adds a nice touch to the voice work. The music is fantastic in MvC3 with character specific themes, as well as great menu themes. They even brought back the famous “Take You for a Ride” with a few remixes as well. MvC3 has an online component that will please a lot of people, but also disappoint others. While MvC3 has Ranked, Player, and Lobby Battles which you would expect they dropped the ball on the 8-player lobby system. In games like Super Street Fighter 4 and Super Street Fighter 2 Turbo HD Remix, lobby play allows those not playing to be able to spectate the matches while they wait for their turn. MvC3 is missing this option as of right now, and hopefully will be rectified in a patch soon. Other than that the online is great. You can enjoy player matches to test your skills against others for fun, or you can jump in a ranked match and battle against the best for points. With online play MvC3 is going to give you a ton of replay value. Marvel vs Capcom 3: Fate of Two worlds is one of the best fighting games ever made, and will give you a fun experience for years to come. With the possibility for DLC the roster could reach into the 50’s and we could see new modes, new stages, and plenty more. If you like fighting games, super heroes, or just having fun in general then Marvel vs Capcom 3 is the game for you. Don’t be a Jimmy and go out and get yourself a copy. Tell your friends to get it, you won’t be disappointed. Last Sunday Cinderkin from Team Gouki put together a little friendly throwdown. Check out these videos with commentary.